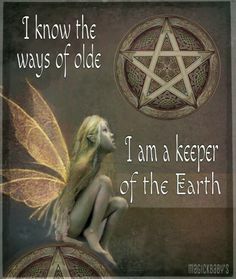 Faery Wicca is also known as Fairy Wicca and it is basically a broad term that consists of all the Wiccan traditions that stresses importance on the Fey (such as sprites, faeries, elves, gnomes, etc), the relation of the Fey with the natural world and also their teachings. Originally written about by the author, Kisma Stepanich. Believers of this tradition are of the opinion that this type of Wicca has originated from the Tuatha De Danaan traditions. The Tuatha De Danaan is considered to be the mythological predecessor of the Celts to many although, there are some who are not of the same opinion. 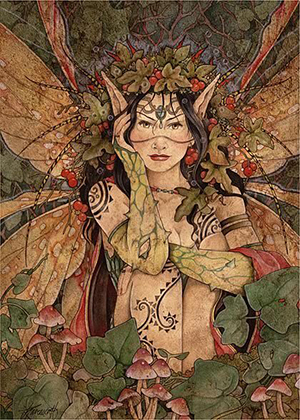 Faery Wicca is a belief that has taken some elements from the Irish mythology, from different non-Celtic sources and also from the interpretation of the history of the Celts by Kisma Stepanich. This belief has also been influenced by the author’s imagination of the Celts as well as the Celtic legend and pseudo history. There are some people who often confuse this with Feri Wicca, a tradition started by Victor Anderson. There is no doubt that there are few similarities between the Faery Wicca and other Wiccan traditions like appreciation of creativeness, love for beauty and respect for nature. 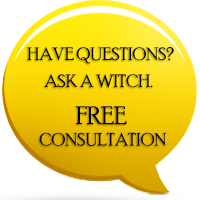 While it maintains some similarities, there a number of customs that differ from the traditional Wiccan Spellcastings. One of the many differences between this tradition and others is that with Faery Wicca it encourages risking to a greater extent as compared to the other Wiccan customs. It is often said that they follow a different set of rules, then other followers of traditional Wicca. The practitioners of this form of Wicca view themselves as Fey and this means that they are neither black nor white. You may not know this but possession is practiced in this form of Wicca. The followers believe that Gods are real and the morality system that the Gods have are quite dissimilar from the one that human beings have. Faery tradition can be considered as the mystery tradition that has direct contact with the heavenly and it is also a tradition of ecstasy, power and danger. Last but not the least, I would like to say that while this tradition is exciting and beautiful, not everyone can be what it takes to be a practitioner of this Wicca and it most certainly is not for the faint-hearted. Infact[Kyt}....there is a tradition of Wicca , that is called Faery Wicca.As the article said,made "famous" by the author Kisma Stepanich...it is an existant and very "real" path ...which it's practisioners call Wicca.Just as in all other paths, there are many different ways of working with Faerys...some do as was suggested above...but some follow a completely different doctrine...and do not call themselves Wiccan.Just as the Wiccan path[in itself] is diverse...so it is with Faery practitioners. Right now, I am trying to summon the fairies to come to me and to my house by offering fruit juice, or fruit, quartz crystal and flowers (daisies, small roses, thyme and file of small grass. Then chant to come and be my friends.